Take Covering the Hot Tub Seriously! 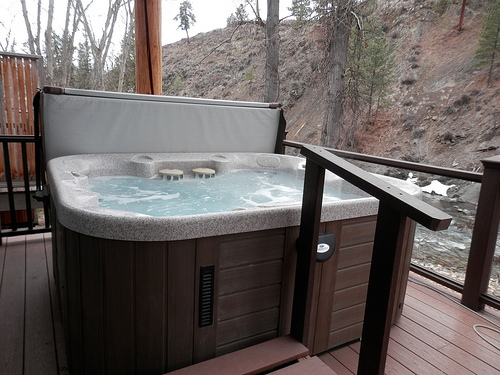 Hot tubs can be one of those fun, luxurious things that often end up getting used after dark and when, perhaps a few alcoholic drinks have been consumed. However, try never to neglect to cover the hot tub after use, even if you really feel like going straight to bed. A hot tub can end up being filled with all kinds of dead insects, plant life and even larger things like raccoons and squirrels that have sadly met their end in its waters, so cover it over when you aren’t in there and you won’t have to spend all of the next day fishing things out and disinfecting! There are different cleaning products and tools for hot tub style spa baths to those used for pools. You will generally have the water in a hot tub less chlorinated and it will probably be built of different materials, so don’t assume that pool supplies are going to cut it when it comes to general cleaning and maintenance. If you are in doubt about what you should be using, speak to the manufacturer or your hot tub and see what they recommend, or simply go to the right section or your local hardware store and ask about hot tub cleaning gear. 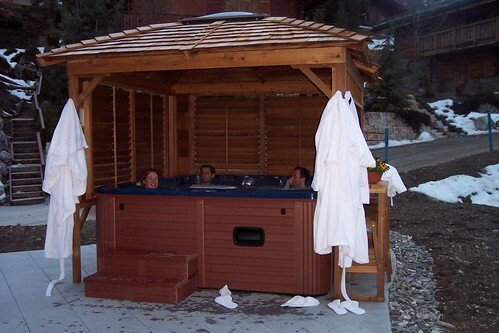 Spending time in your jacuzzi or hot tub can be really fun, especially when you first get it, but remember that this means you will probably be outside, with your friends or partner, late at night even in winter months when normally nobody is out making any noise. It is therefore best not to get too carried away with the laughter, music and general frivolity, and also to respect that your neighbors might have early starts and find that having people outdoors talking, even if it isn’t especially raucous, may cause them problems. Of course, if you have plenty of space it is OK to go as wild as you like, but when you have neighbors who can see into your garden, it is better to be a bit more discreet with your hot tub use, and also make sure your guests are all appropriately clothed if the neighbors can see into the area where your tub is! If you look after your hot tub properly and don’t annoy your neighbors when you are using it, you can really get a lot of relaxation, social fun and enjoyment out of it. Do your research about what your tub needs before you start making use of it, treat it well, and you’ll be really glad you got it! 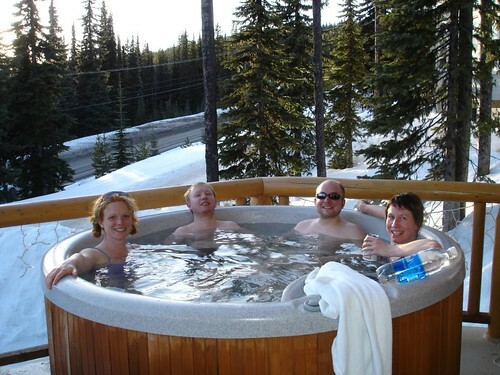 This post has been contributed by Kenny Walters, an employee at Factory Hot Tubs which deals in an extensive range of Jacuzzis in Toronto. He enjoys gardening in his free time. Log on to www.factoryhottubs.ca/ to know more about his company.